Whatever material you choose for your project, Hardwick Windows will ensure that it is crafted to the latest specification and the highest quality to ensure many years of trouble free use and enhancing the appearance of you most valuable asset, your home. Wood has been the choice for windows for hundreds of years and today we offer materials and specification for the future. Collaborative innovation with glass, wood and paint manufacturer ensures that our wooden windows and doors are built to last with the minimum maintenance, market leading warranties and the latest specifications. Advances in the thermal break technology has enabled aluminium to compete with other materials for the windows and doors in your home. It's integral structural strength allows for larger openings and a contemporary appearance to modern styling and living. Almost any RAL colour can be supplied. We offer a range of Wooden Alternative, flush casement products that work with almost any property, traditional or modern and certain heritage homes. They blend traditional aesthetics and design to replicate original wooden products and are virtually maintenance free. Normally the entrance is the first thing that reflects the character of the property and that of who lives there. We can personalise our doors to reflect your individual style allowing you to inject personality into your home. 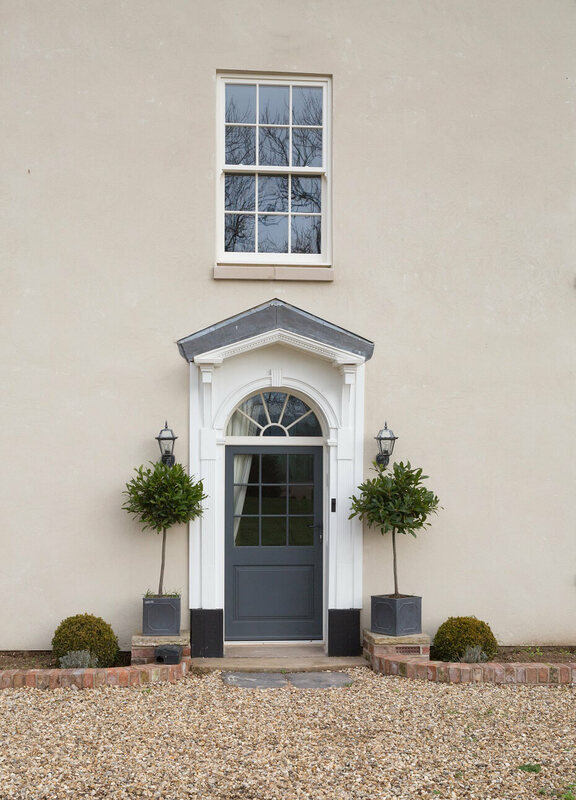 External doors are an important part of any property, offering a first impression of the quality of the build. Design, Style, Specification, Quality and Security are built into our wooden doors. Complete the transformation of your home with an Aluminium Door. Our Aluminium Doors are high performance products, suitable for use where a durable and reliable door is needed to either match the windows or provide larger, unobstructed views of the outside. We can personalise your door for your home. Enhance the beauty of your home with an exterior door that combines traditional looks with all the benefits of modern materials. Made from glass-reinforced polymer (GRP), Composite Doors provide leading security and insulation standards, in a made-to-measure package that is virtually maintenance free.